Jim Niedelman has spent his broadcast journalism career covering local news across the country. His arrival in the Quad Cities in early 2015 was a homecoming of sorts. Jim once worked in Champaign, Illinois and lived in Chicago while attending graduate school. 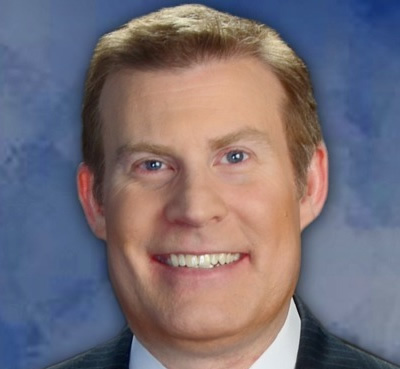 These days, you can catch him anchoring the weeknight 5 pm, 6 pm and 10 pm newscasts for Local 4 News. Long before coming to the Quad Cities, Jim got his first broadcasting opportunity down river in Greenville, Mississippi. He moved on to Gainesville, Florida; Allentown, Pennsylvania; Champaign, Illinois; Las Vegas, Nevada; Greenville, North Carolina and Yakima, Washington. Jim believes strongly that all news is local news. “It doesn’t matter whether a story gets national attention, it’s local at its core and real people are impacted. It’s our job as journalists to make sure everything we report is not only accurate, but how the things that happen around us affects our lives.”Jim has been honored with several awards for his reporting over the years. That includes being recognized as the 2005 Associated Press Reporter of the Year for Downstate Illinois while the primary anchor in Champaign. Jim has also received awards for his investigative, consumer and feature reporting. Jim grew up in Los Angeles, California. He’s a die-hard L.A. Kings fan since childhood [sorry Blackhawks fans] along with the L.A. Lakers, Pittsburgh Steelers and Cincinnati Reds. He earned a bachelor’s degree in Business Administration from the University of California at Berkeley and a master’s degree in Journalism from Northwestern University. Go Bears and Wildcats too! Don’t be surprised if you see Jim catching a Mallards game, taking some swings on the golf course, checking out live theater, enjoying the local concert scene or taking in the latest movie. And, if you do, make sure to say hi and tell him a story.